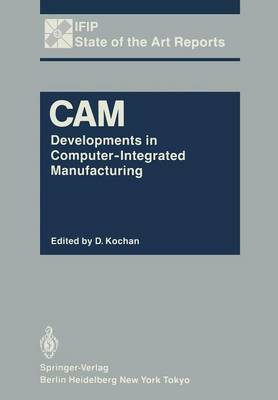 "Developments in Computer-Integrated Manufacturing" arose from the joint work of members of the IFIP-Working Group 5.3 - Discrete Manufacturing, and other IFIP members. Within the Technical Committee 5 of the International Federation of Information Processing (lFIP) the aim of this Working Group is the advancement of computers and their application to the field of discrete part manufacturing. Capabilities will be expanded in the general areas of planning, selection, and con- trol of manufacturing equipment and systems. Tools for problem solution include: mathematics, geometry, algorithms, computer techniques, and manufacturing technology. This technology will influence many industries - machine tool, auto- mation, aircraft, appliance, and electronics, to name but a few. The Working Group undertook the following specific tasks: 1. To maintain liaison with other national and international organizations work- ing in the same field, cooperating with them whenever desirable to further the common goal 2. To be responsible for the IFIP's work in organizing and presenting the PRO- LAMA T Conferences 3. To conduct other working conferences and symposia as deemed appropriate in furthering its mission 4. To develop and sponsor research and industrial and social studies into the various aspects of its mission. The book can be regarded as an attempt to underline the main aspects of techno- logy from the point of view of its software and hardware realization. Because of limitations in size and the availability of literature, the problems of robotics and quality control are not described in detail.